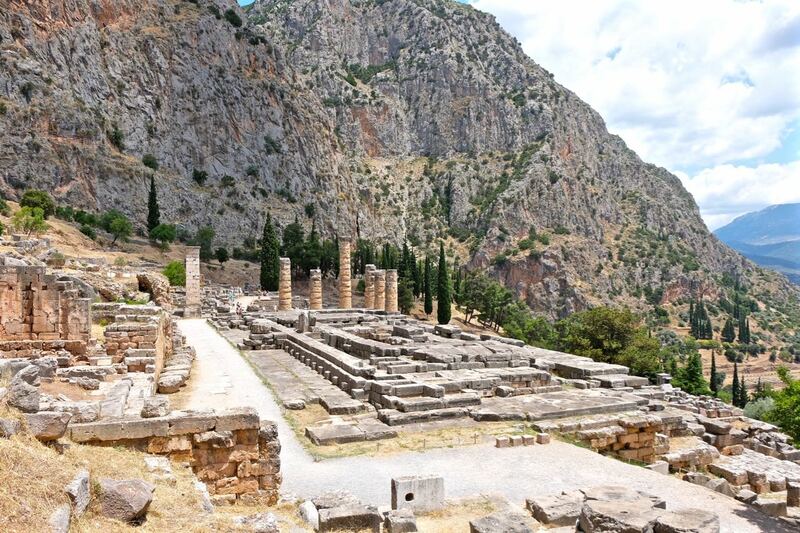 Delphi is conveniently on the way from Athens to Meteora and stopping for a visit is a wonderful way to break up the long drive. The drive from Athens to Delphi was a little over 2 hours. 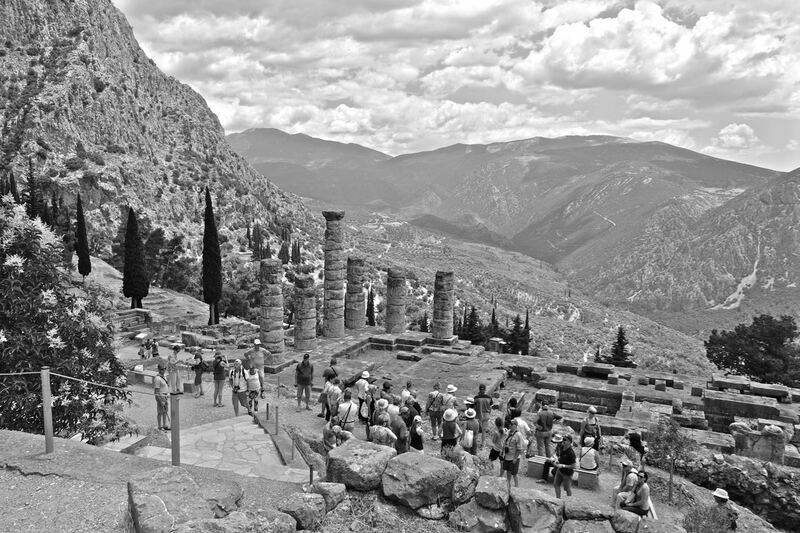 Delphi was considered the center of the world by the Ancient Greeks and is also where the most famous oracle resided. 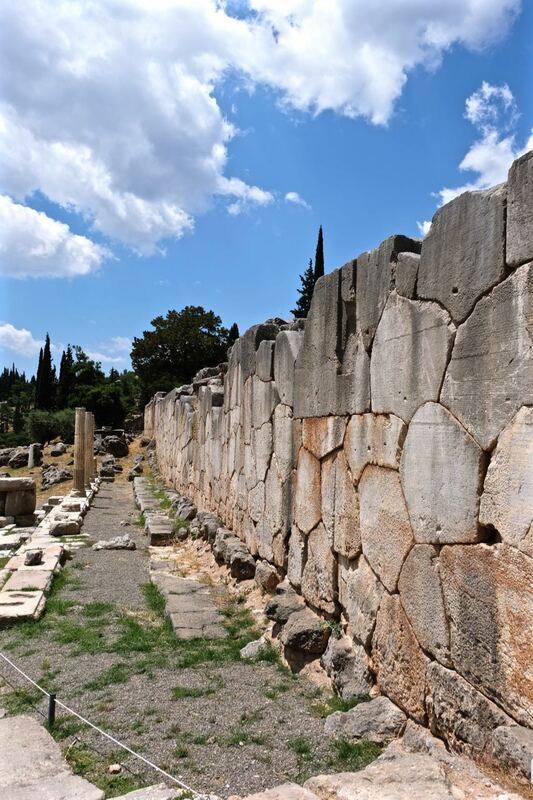 Rulers as well as ordinary individuals visited the Temple of Apollo to consult with the oracle and donated great gifts and built treasuries on the site to express their gratitude. It has been said that the oracle spoke for Apollo and dealt less with future predictions than in what choices to make such as when to engage in war, where to build a new colony, or whom to choose as leader, etc. 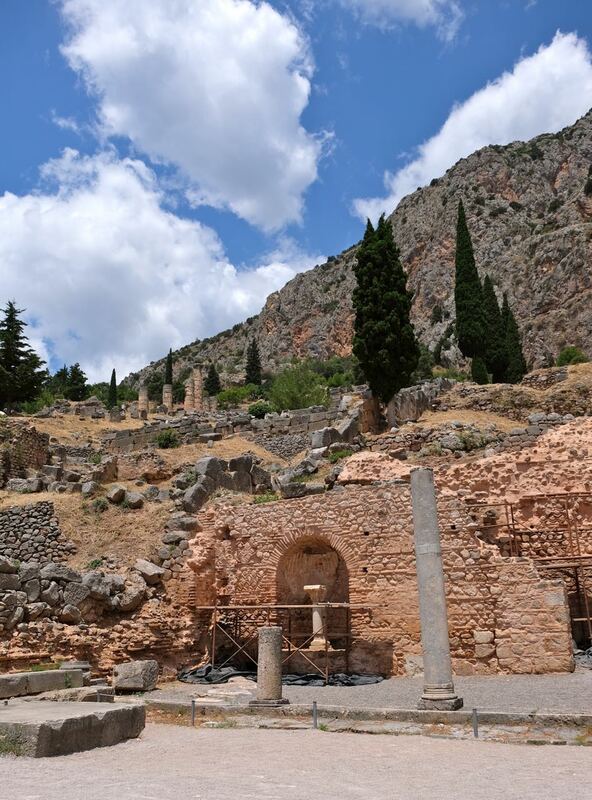 With the rule of the Byzantine emperor Theodosius, and the advent of Christianity, Delphi was eventually abandoned during the 6th-7th centuries.AD. One of the many treasuries that used to stand here. 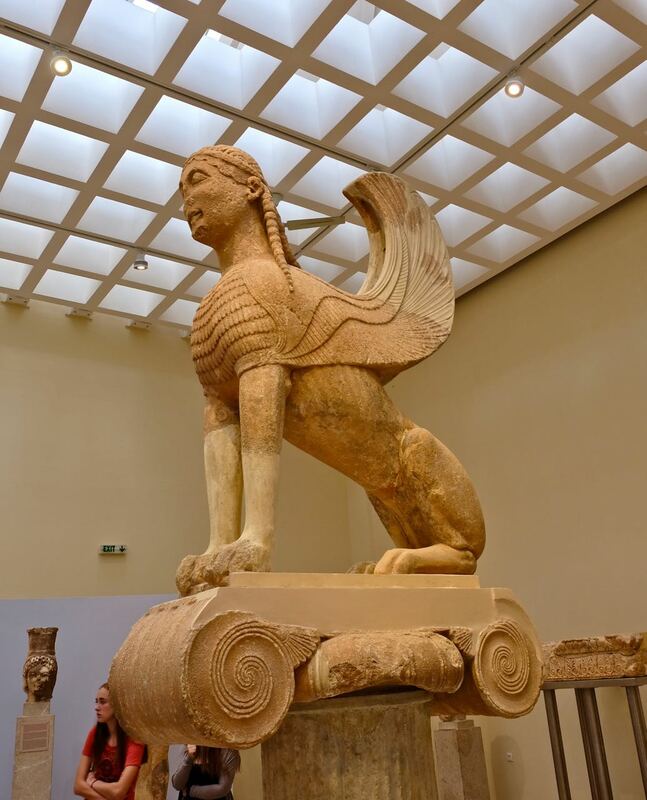 The Naxian sphinx, part woman, part lion, and part eagle once stood on a tall column and served as a guardian to the sanctuary of Delphi. 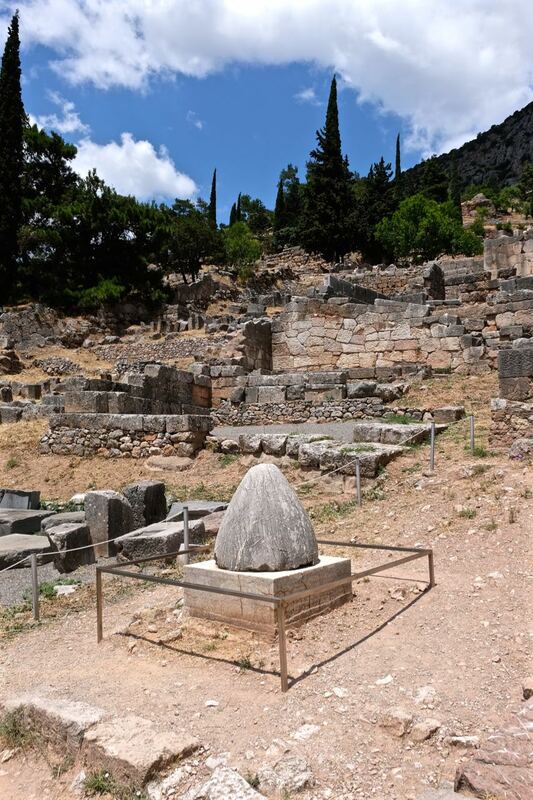 The navel stone signifies that Delphi is the center of the world. According to Greek mythology, Zeus sent two eagles from the two ends of the world and where they met became the center of the world. 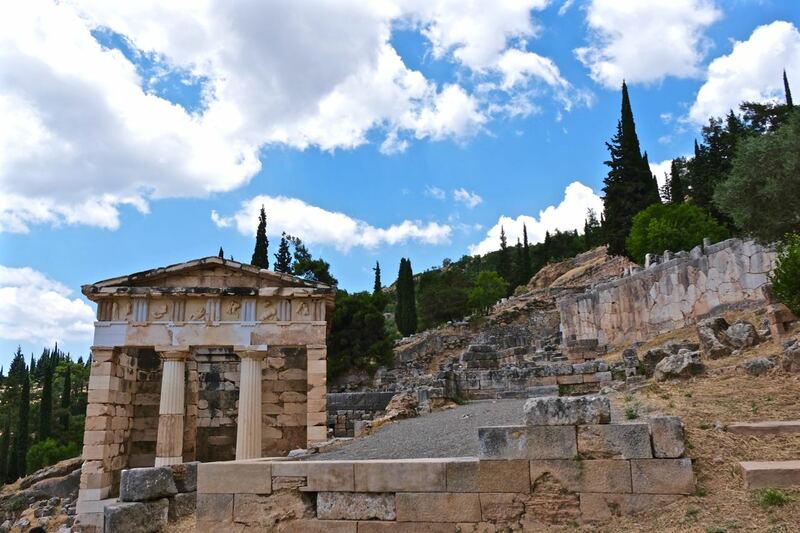 The oracle sat in an inner sanctum below the floors of the Temple of Apollo. Archaeologists found the presence of ethylene gases believed to have seeped into the inner sanctum where the oracle sat. It is theorized that the oracle was intoxicated by hydocarbon gases and sent into a trance not unlike young people breathing in fumes from paint thinner or glue or gas.